I get some weird looks when I am out with my kids. 1) “The Triangular Stare”: This is a term I have read about in my adoption books. 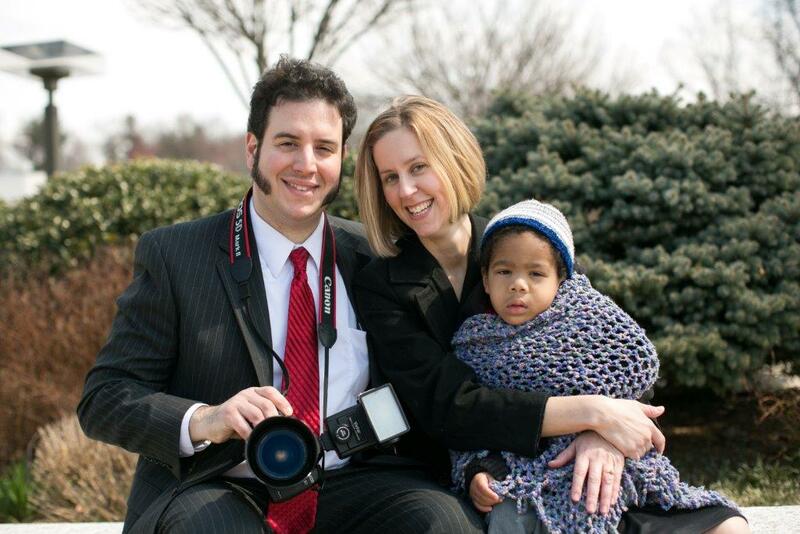 It means the person looks from me to my kid to my husband, trying to figure out who belongs to who in this trans-racial family. I don’t like it and I am still working on comebacks. I don’t mind curiousity and sharing and maybe even educating people, but I don’t necessarily want to have to do so in front of my child. 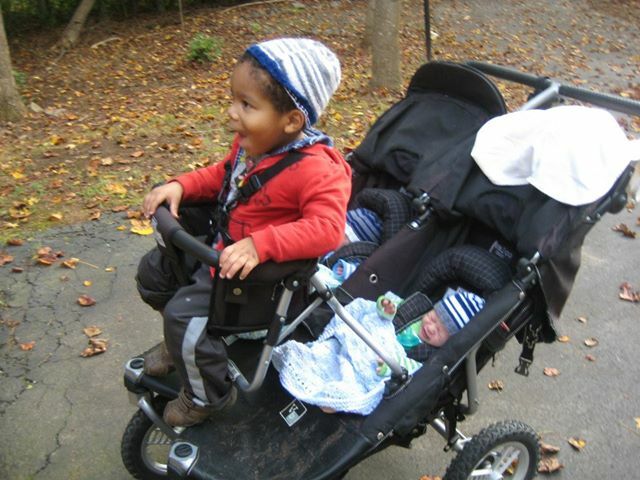 2) “The Stroller Stare”: When I am out with my 3 children in a triple stroller, the stroller gets all the attention and no one seems to notice I have twins. I get a comment every few feet, and lots of whispers. Cool stroller trumps cute babies. 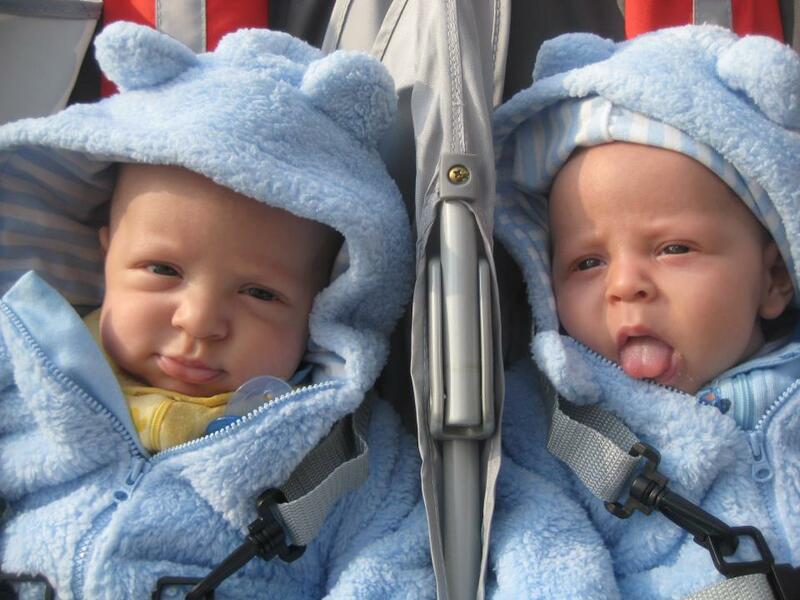 3) “The Twins Stare”: When I am out with my babies in merely my double stroller, and R is home with Dad, people (mostly women) stare at my babies with this look of drugged euphoria on their faces and say kind things like “bless your heart”. If only they knew I had THREE babies in diapers, their hearts might explode. 4) The “She-Must-Be-The-Nanny” Non-Stare: When I go mall-walking, my set-up is a 3-year-old and a baby in my double stroller, and I wear one baby in a front pack. With this arrangement, no one seems to stop me or say anything. Awww! Thank you so much. I agree, with both your thoughts! Wow, that is awesome! Congrats! Twin mommas unite! Thanks for reading and I’m so glad I could be a little help. I think you and I are the real twins here.